The establishment of the Galileo Reference Service Provider (GRSP) is a project funded within the sixth framework programme of the European Union. 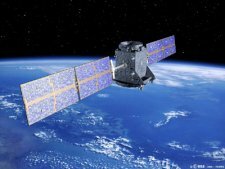 Call number 2420 of the second call for proposals asked for the "Implementation of Galileo Geodetic Service Provider Prototype". The target of the Galileo Geodetic Service Provider (GGSP) is the development of the Galileo Terrestrial Reference Frame (GTRF) and the establishment of a service with data, products and information for the potential Galileo users. The project started in July 2005 and will finish probably at the end of 2008. This portal is to inform the public about the progress of the project. In a later stage it will offer a variety of information in different specifications.